On October 22, 1996, construction commenced for a new baseball stadium to replace County Stadium in Milwaukee; this new ballpark became known as Miller Park. The first sanctioned Major League Baseball (MLB) game was played in Miller Park on April 6, 2001 in a game between the Milwaukee Brewers (Brewers) and the Cincinnati Reds. there is created, for each jurisdiction under [Wisconsin Statute §] 229.67, a special district that is a local governmental unit, that is a body corporate and politic, that is separate and distinct from, and independent of, the [S]tate and has the powers under [Wisconsin Statute §] 229.68 and the name of which includes “Professional Baseball Park District. In 1995, and pursuant to the afore-referenced enabling legislation, the Southeast Wisconsin Professional Baseball Park District (District) was created to oversee the design, construction, operation, financing, and maintenance of a new baseball stadium. The District includes Milwaukee, Ozaukee, Racine, Washington, and Waukesha counties and is managed by an appointed 13-member board of directors. To finance the Miller Park project, the District was authorized by 1995 Wisconsin Act 56 to impose a sales tax at a rate of no more than 0.1% of the sales price, or purchase price, on citizens of the five counties; this sales tax is referred to as the Miller Park Sales Tax. bonds issued by the [D]istrict shall be secured only by the [D]istrict’s interest in any baseball park facilities, including any interest in a lease with the [Wisconsin Department of Administration]; by income from these facilities; by proceeds of bonds issued by the [D]istrict and other amounts placed in a special redemption fund and investment earnings on such amounts; and by taxes imposed by the district under subch. V of ch. 77. The District works with an independent financial advisory service, Public Financial Management (PFM) to assess the 0.1% Miller Park Sales Tax projected sunset date. PFM is a Philadelphia-based public financial advisory firm that primarily focuses on providing consulting services for public entities such as municipalities, cities, schools, and hospitals. PFM was founded in 1975 in Philadelphia and now has 35 offices around the United States. It has been ranked as the number one financial advisory firm in the United States by the Securities Data Corporation; this ranking is based on the transactions managed by PFM between 1984 and 2008. PFM reports annually to the District with respect to prognostications and projections of sales tax collections and the estimated sunset date of the Miller Park Sales Tax. A sunset date in bond financing is the date when the bonds are defeased or retired. The independent financial advisor, PFM, evaluates the District’s current financial position and the District’s obligations, and considers anticipated future economic conditions. The two most significant factors that affect the sales tax retirement date are “the annual compounded growth rate in sales tax collections; and, the amount of interest earned on the District’s investment earnings,” both of which factors are beyond the control of the District. The final bonds utilized to finance the stadium were issued in 1999. The initial payment schedule went out to 2029, or thirty years from issuance. Economic conditions, namely extremely low growth in sales tax collections and investment earnings, have caused the District to collect the sales tax longer than originally projected. Original projections included a 5.5% annual growth in sales tax. The reality is that the District has only seen an average annual growth of 1.1% between 2002 – 2014, or $132.3 million less sales tax than projected. Pursuant to the enabling legislation for the District, the Miller Park sales tax “expires” after the District makes a certification to the Wisconsin Department of Revenue. Before making a certification, the District must not only retire all bonds issued for the initial construction of baseball park facilities, it must also ensure that it has set aside funds for the adequate provision for the performance of its contacts. The District’s financial consultant, PFM has now projected that the best possible estimate of a sunset-date would be between 2018 and 2020. [t]he Miller Park District issued sales tax revenue bonds to fund the construction of Miller Park. The principal and interest repayments on the bonds are scheduled through the year 2029. At this point in time, the Miller Park District anticipates satisfying all bond payments in full between the years 2018 and 2020. This is similar to a homeowner paying off their 30 year mortgage in 20 years or less. In its sunset estimate, PFM said that the actual sunset date will depend on tax collections and interest rates. The 2015 tax collection of $29 Million “was 2.17% higher than in 2014[,] but is below the [D]istrict’s historic average increase of 3.05[%]. 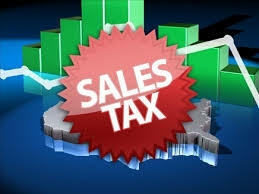 The ultimate passage of the Miller Park sales tax was a hotly contested political issue. State Senator George Petak (R-Racine) originally promised to cast a “no” vote for the legislation, but Petak changed his vote in the early morning hours to become the deciding vote in favor of the Miller Park Sales Tax after realizing that “[t]he Brewers couldn’t survive in County Stadium,” which ultimately threatened the vitality of Major League Baseball in Wisconsin. The change of vote came after he was persuaded that if he would not vote “yes” for the sales tax, the Brewers would likely have to relocate. Nine months later, Petak lost a recall election to State Assemblywoman Kimberly Plache. The recall resulted in Petak becoming the first Wisconsin legislator to be successfully recalled from office. Ever since the Petak recall, Racine legislators on a bi-partisan basis have been fighting the tax. In 2009, Senator John Lehman (D-Racine) suggested that user fees be imposed on tickets and parking to offset the sales tax to help pay for and help accelerate the payment of Miller Park. Lehman recommended tacking on a $1.00 surcharge onto the price of tickets, a $1.00 surcharge per car, and a $3.00 surcharge per bus that parks at the stadium. Lehman suggested that “user fees could generate $3 million annually to help retire the stadium debt.” Lehman made the proposal and request in a letter to Doug Stansil and Robert Henzl, Racine County’s two representatives on the District’s board. Lehman went on to note that “[r]ecent sales tax data from the state Department of Revenue showed the 0.1 percent stadium district sales tax collections in Racine, Milwaukee, Waukesha, Washington and Ozaukee counties in July 2009 were down nearly 14 percent compared to July 2008.” In a release, Lehman continued that the “[y]ear-to-date sales tax collections are approximately $1 million below projections” and that “[u]ser fees could generate $3 million annually to help retire the stadium debt, according to estimates Lehman requested from the Legislative Fiscal Bureau.” Enacting such a surcharge is within the authority of the stadium district according to the fiscal bureau. A surcharge, however, is not allowed per the District’s Lease Agreement with the Brewers. Let’s not forget that the bonds were originally to be paid off and retired in 2029. Whether it’s 2018 or 2020, Miller Park will be the fourth recently opened MLB stadium to retire their bonds earlier than scheduled, which is a feat in itself. These other MLB stadiums include the Arizona Diamondbacks, the Texas Rangers, and the Colorado Rockies. [t]he Miller Park District and the Milwaukee Brewers share the responsibility of major capital repairs and improvements at Miller Park. To date, there is no deferred maintenance at Miller Park. The Miller Park District has established a program to meet the future obligations of the District, including funding for major repairs and improvements. With the District’s program in place, there will be no future deferred maintenance at Miller Park. It is unusual and rewarding to see a public / private facility like Miller Park with no deferred maintenance needs – now or in the future. Sales and user taxes seem to be the most favorite methodology for financing recent Major League Baseball stadiums. Bond repayments or retirements are usually spread out over the length of the primary tenant lease. Miller Park will be the fourth of the recently opened MLB stadiums, including Arizona Diamondbacks, Texas Rangers, and Colorado Rockies, to retire their bonds earlier than scheduled. . . . The public financing contribution for Miller Park is well within the range for average proportional public to private funding for constructing an MLB ballpark. 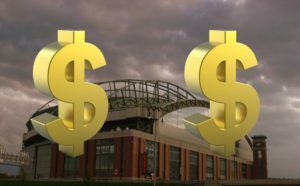 Whether the bonds finally defease in 2018 or 2020, Miller Park financing structure will be remembered historically as a financial success. Undoubtedly, Miller Park and its financing plan was the best public-private partnership in the history of Wisconsin. Thank you to Lori Shaw for editing and footnoting this article. Lori Shaw is a graduate of Marquette University Law School where she focused on Intellectual Property and Sports Law. Shaw was the Managing Editor for the Marquette Intellectual Property Law Review, a member of the Marquette Sports Law Review, and a Sports Law Certificate candidate in May 2016. Shaw was also a member of the Employment Law Society and Sports Law Society. Prior to coming to Marquette Law, Shaw double-majored in History and Political Science, with a Psychology minor, at Indiana University in Bloomington, Indiana. See also an Appendix of sources referenced in this article. Miller Park, Ballparks, http://www.ballparks.com/baseball/national/miller.htm (last visited May 12, 2016). Miller Park History, Milwaukee Brewers, http://milwaukee.brewers.mlb.com/mil/ballpark/information/index.jsp?content=history (last visited May 12, 2016). 1995 Wisconsin Act 56, Wisc. Stat. 229.64 (1995). § 229.68; Southeast Wisconsin Professional Baseball Park District, Miller Park Sales Tax, Frequently Asked Questions, Miller Park District (2016), http://millerparkdistrict.com/images/PDFs/FAQs_Web_2016_Sales_Tax_Final.pdf [hereinafter FAQs 2016]. FAQs 2016, supra note 6; § 229.67. FAQs 2016, supra note 6. Bruce Murphy, Murphy’s Law: The Eternal Stadium Tax, Urban Milwaukee (July 27, 2012), http://urbanmilwaukee.com/2012/07/27/murphy%E2%80%99s-law-the-eternal-stadium-tax/; Jack Moore, The Continuing Costs of Miller Park, Baseball Prospectus (June 22, 2015), http://milwaukee.locals.baseballprospectus.com/2015/06/22/the-continuing-costs-of-miller-park/. Taxes were collected for nine months during the calendar year 1996. Southeast Wisconsin Professional Baseball Park District Sales Tax Distribution – Calendar Year 2016. Southeast Wisconsin Professional Baseball Park District Board of Directors Resolution #95-4. Southeast Wisconsin Professional Baseball Park District, Miller Park Sales Tax, Frequently Asked Questions, Miller Park District (2015), http://www.millerparkdistrict.com/images/PDFs/FAQs_Web_2015Format_Sales_Tax_Final.pdf [hereinafter FAQs 2015]. FAQs 2016, supra note 6; Southeast Wisconsin Professional Baseball Park District, Post Sales Tax Sunset Date Financial Planning (Feb. 2016). Id. ; FAQs 2015, supra note 24. FAQs 2015, supra note 24. Letter from David Anderson to Michael Duckett (Mar. 8, 2016), http://www.millerparkdistrict.com/images/PDFs/Sales_Tax_Sunset_Date_Report_2016.pdf. PFM, https://www.pfm.com/ (last visited May 15, 2016). About PFM, PFM, https://www.pfm.com/about-pfm/ (last visited May 15, 2015). Public Financial Management, Wikipedia, https://en.wikipedia.org/wiki/Public_Financial_Management (last visited May 15, 2016); see generally Industry Rankings, PFM, https://www.pfm.com/about-pfm/industry-rankings/ (last visited May 15, 2016). Letter from David Anderson, supra note 32. Attorney Martin J. Greenberg, American Bar Association Presentation, Sports Facility Financing – MLB Milwaukee, Field of Dreams: Developing and Financing Stadiums and Other Sports Facilities (Aug. 3, 2012). Letter from Kristi Kreklow and Michael Duckett to Martin J. Greenberg (May 25, 2016) (on file with author); FAQs 2016, supra note 6. Rich Kirchen, Miller Park Tax Likely Wil Remain Till 2020, Milwaukee Bus. J. (Mar. 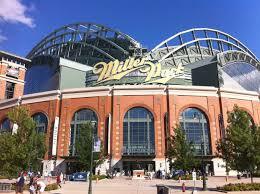 12, 2014), http://www.bizjournals.com/milwaukee/news/2014/03/12/miller-park-tax-likely-will-remain-till-2020.html. Letter from David Anderson, supra note 32; FAQs 2016, supra note 6. Letter from Michael Duckett to Martin J. Greenberg (Apr. 8, 2016) (on file with author). Rich Kirchen, Miller Park Sales Tax Sunset Prediction Unchanged; 2019 Is Midpoint, Milwaukee Bus. J. (Mar. 8, 2016), http://www.bizjournals.com/milwaukee/news/2016/03/08/miller-park-sales-tax-sunset-prediction-unchanged.html. 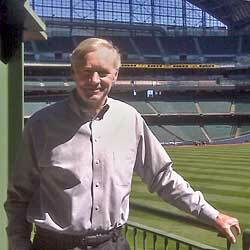 Rich Kirchen, Miller Park Tax Could End By 2019 – or Not, Milwaukee Bus. J. (Feb. 17, 2016), http://www.bizjournals.com/milwaukee/news/2016/02/17/miller-park-tax-could-end-by-2019-or-not.html. Murphy, supra note 20; Miller Park, 10 Years Later: Stadium Changed the Brewers’ Fortunes, OnMilwaukee.com (Apr. 11, 2011), http://onmilwaukee.com/sports/articles/millerpark10intro.html. Miller Park, 10 Years Later, supra note 59. Murphy, supra note 20; 1996 Petak–Plache Recall Race Holds the Key to 2011 Recalls, Barb Caffrey’s Blog, https://elfyverse.wordpress.com/2011/08/06/1996-petak-plache-recall-race-holds-the-key-to-2011-recalls/ (last visited May 16, 2016). 1996 Petak–Plache Recall Race Holds the Key to 2011 Recalls, supra note 61. Mike Lowe, Racine Lawmaker Says Residents Tired of Paying for Miller Park, Fox6Now (Feb. 26, 2014), http://fox6now.com/2014/02/26/racine-lawmaker-says-residents-tired-of-paying-for-miller-park/; Erin Toner, Lawmakers Seek to End Miller Park Tax Sooner than Planned, Rep. Cory Mason, http://legis.wisconsin.gov/assembly/mason/news/Pages/Lawmakers%20Seek%20to%20End%20Miller%20Park%20Tax%20Sooner%20Than%20Expected.aspx (last visited May 16, 2016). Journal Times Staff, Lehman Pitches User Fees to Pay Miller Park Debt, J. Times (Aug. 5, 2009), http://journaltimes.com/news/local/lehman-pitches-user-fees-to-pay-miller-park-debt/article_707e3f10-b394-5333-8ee3-255ca605841d.html. 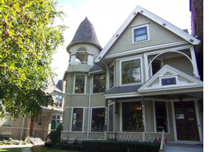 Second Amended and Restated Miller Park Lease Agreement § 8.3 (Nov. 11, 2014). Greg Giesen, ‘Enough Is Enough’ — Legislators Want County Out of Miller Park Taxing District, J. Times (Feb. 25, 2014), http://journaltimes.com/news/local/enough-is-enough-legislators-want-county-out-of-miller-park/article_1e516d46-9e77-11e3-ab4c-001a4bcf887a.html; Kevin Binversie, Racine Area Lawmakers Want to Sunset the Miller Park Tax, Right Wisconsin (Apr. 28, 2015). Martin J. Greenberg, Ten Years Later: Miller Park and Real Estate Development in the Village of West Milwaukee and the Menomonee Valley (June 2012), https://law.marquette.edu/assets/sports-law/pdf/20120622-greenberg-mp.pdf. Jeff Mosier, Tax Income to Pay Cowboys Stadium Debt Is Beating Projections, Dallas Morning News (July 11, 2010), http://www.dallasnews.com/news.cowboys-stadium/20100710-Tax-income-to-pay-Cowboys-Stadium-9172.ece; Chanel Christoff, Cowboy’s Stadium Early Pay-Off Due to Sales Tax Boon, Davis & Davis LLC, http://davisanddavisllc.com/2015/09/23/cowboys-stadiums-early-pay-off-due-to-sales-tax/ (last visited May 16, 2016). Cindy Brovsky, Coors Field’s Mortgage Paid Off, Denver Post (Nov. 30, 2000), http://extras.denverpost.com/rock/rox1130s.htm. Rochelle Olson, Hennepin County’s Ballpark Sales Tax Still Going Strong, Paying down Bonds Early, Star Tribune (Nov. 6, 2015), http://www.startribune.com/hennepin-county-s-ballpark-sales-tax-still-going-strong-paying-down-bonds-early/342007501/. Matt Hrodey, Inside the Miller Park Tax, Milwaukee Mag. (Sept. 16, 2014), http://www.milwaukeemag.com/2014/09/16/insidethemillerparktax/; Letter from David Anderson, supra note 32. Martin J. Greenberg, The Economics of Miller Park (Apr. 5, 2012), http://www.jsonline.com/news/opinion/the-economics-of-miller-park-rh4s34m-146362145.html.